I didn’t manage to play Rayman in his debut on PS1, when it released 16 years ago. I was two years old, after all, so I waited until I had matured somewhat and finally got around to it when it came out for the Game Boy Advance. I loved it all the same though, even though I might have played it half a decade after everyone else. After the first game, the Rayman series went through some changes – Rayman 2 moved into the realm of 3D platforming and Rayman 3 continued this, after all, going back to 2D would be a mistake and a step in the wrong direction, right? Perhaps, but it couldn’t have been any worse than the Raving Rabbids spin-off (not that they’re particularly bad, just that it was not Rayman). So, now that the Rabbids have migrated to their own series, what’s next for Rayman? [boxout]Rather than transforming the series into something new Ubisoft have taken him back to his roots – and you’ll be glad to hear that it’s exactly what Rayman should be, from what I’ve played. 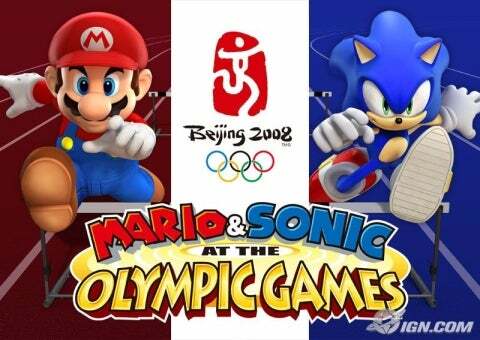 The title says it all; the game shows a younger, less heroic Rayman and Globox in a prequel to the first game, literally showing Rayman’s origins. It’s true to the first game in the series in that it’s a 2D platformer in the same style, with many features and characters returning. There’s a startling contrast to the PS1 game, however – it has been a decade and a half so this was a given. It’s absolutely not a remake, with lots of new gameplay mechanics and a four player co-operative mode (with at least two players is necessary if you’re looking for the best experience) and the art style has noticeably improved, with crisp 2D visuals, a glorious palette filled with vibrant colours and gorgeous yet quirky animations. When this all comes together, with solid platforming mechanics, lots of secret rooms and various environments, it’s truly delightful. Rayman and Globox make for a great team, with each able to run, jump, hover and save each other from the enemies – if you’re hurt, you’ll blow up into a balloon and your co-op partner is able to bring you back down to the ground and revert you to your non-bloated form. I’ve played three levels of Origins (about five times each): first was a classic Rayman jungle level (complete with the photographer at the end) which introduces you to the gameplay and features many hidden puzzle rooms with caged Electoons – one of which actually nods nicely to Angry Birds. The second level is more complex, it’s desert themed and has enemy bats which will kill you unless you’re in a shielded area, and later you’ll have to collect a shield at certain intervals before running to the next; it’s fast paced and quite hectic but a lot of fun. [drop2]The in the last level of the demo, Rayman and friends are chased by a gigantic enemy monster… thing. A lot of frantic platforming is required as he’ll chase you up the level, akin to Monsters (Probably) Stole My Princess. It’s great fun and good change of pace, whilst remaining visually impressive too. The music throws you back to Rayman of old, with the sounds contributing towards this too. You’ll recognise the cheerful tones and comical shouts as Rayman opens a cage, completes a level or, well… dies (even though it was very hard to hear them I could still recognise the excited cries from Rayman and company). Rayman Origins is two things, mainly: firstly, it’s a solid co-op platformer with a beautiful art style, great gameplay mechanics and a whole lot of fun and, secondly, it’s quintessentially Rayman; if you’re a fan of the original, this should not only be in your sights, but firmly in the middle of them, with you ready to pounce when it releases. Rayman is back where he should be and I doubt I’ll put it off for six days this time round, never mind six years. The thing that narks me, and I only thought of this last night, is that Rayman was called Rayman because orginally, he was a ray-traced character. So he should go back to his orginal name, which was Jimmy. Yeah but Sonic was so called because he turned blue when he broke the speed of sound (as you do), but now he needs a cart to race and can’t even outrun a fat plumber. Did you just break the speed of sound with your comment? Kudos. Rayman was one of my first PS1 games along with fifa 96 and the F1 demo. Good times, even though I couldnt get past level 4 in rayman, i still enjoyed it. This game looks really great. I like how they took the risk to make it a Blu Ray release to give us an extensive, lush, well rounded 2D platformer. I agree, but I bought a PSN card today, just with this game in mind, heheh! Please stop! The anticipation is killing me! I tried to tell myself that I don’t need this game as soon as it is released because I already had UC3 preordered for ages and they both come out in the same month but I don’t think I can hold back. Balls to it… Preordered it anyways. Ooh, I thought this was a PSN title, need some more room on my shelf now. My son and I are really looking forward to this, the trailer looks ace. I remember the original being rock hard in places, timed jumps etc. It was an episodic PSN title but it got upgraded to a complete blu ray release. Thank Ancel… I hate the idea of Episodic platformers, I really can’t wait to play it… Rayman as always been so great. Awesome. Rabbids get such a massive tankering but I think they’re great fun. All the same, I’m glad the two series have seperated out so we can have the best of both worlds! Christ. I was 2 when Elite came out on the BBC Micro and Acorn Electron. Looking forward to this, the Rayman games have always been good fun, I don’t expect this to be any different. Plus, it looks amazing. Good hands on. I think this was probably the most fun game I played at the expo. Not necessarily the best, but definitely the most fun.